CHAMPAIGN, Ill. (WLS) -- The Daily Illini is apologizing for a cartoon that many readers found offensive. The syndicated cartoon showed a person on Halloween climbing over a fence saying, "I'm going as an illegal immigrant." 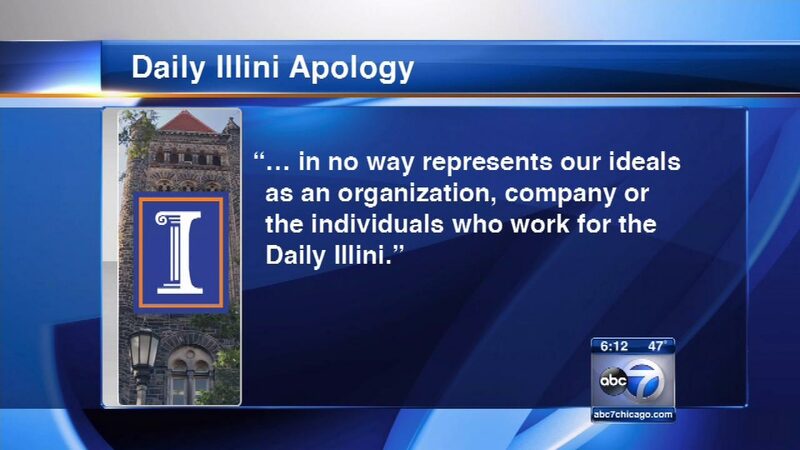 The paper said the work "in no way represents our ideals as an organization, company or the individuals who work for the Daily Illini. The paper cancelled its contract with the wire service that supplied its comics.